Let me first take a step back. My name is Debi and I blog over at My Happy Sewing Place. I started sewing earnestly in 2009. Though I took a few lessons back in 2007 it wasn’t until late 2009 that I finished my first garment. 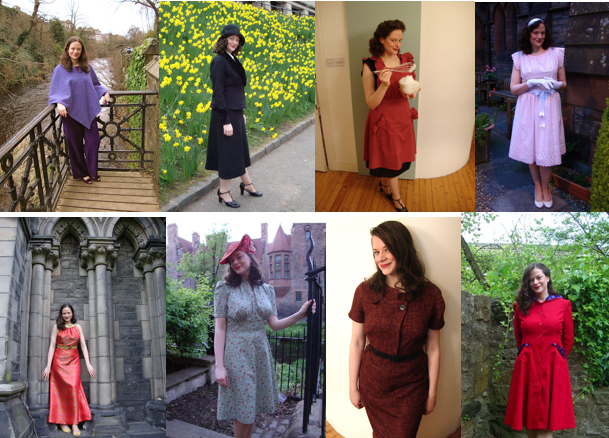 I sew almost exclusively from vintage sewing patterns and am mostly self-taught. I absolutely LOVE sewing. In fact, when I’m not sewing chances are that I’m either a. thinking about sewing, b. checking out other sewing blogs, or c. thinking of buying that extra pattern I don’t really need! I do have a full-time somewhat demanding job and I also occasionally do freelance consulting on the side as well. 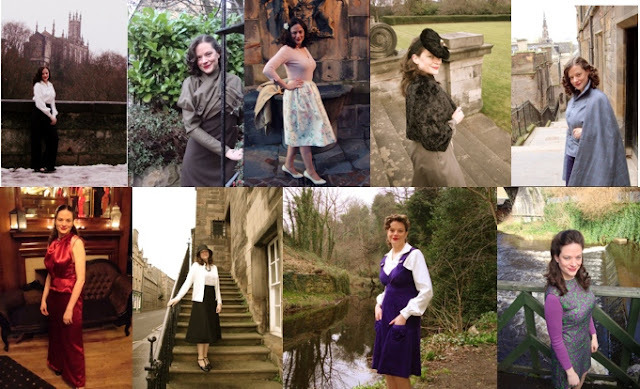 In 2010 I joined as a contributor to the Sew Weekly website to sew one outfit a week for the duration of a whole year (with a few breaks allowed)!! Just so you don’t get the wrong impression… I sewed up a total of 12 garments during 2009, which could probably make up a total of 5 outfits. Well to go from 5 to 50 odd outfits - that’s quite a leap!!!! I knew it would be a huge challenge for me and I decided to do it because I really wanted to start focussing more time on what I loved - sewing. So we are now in week 18 and I’ve created 17 outfits so far. I’ve been really amazed at what I have been able to do and I have really enjoyed the challenge. I’ve also learned a lot along the way about my own personal style of working, what motivates me, what hinders me and what keeps me going with the same enthusiasm week after week. 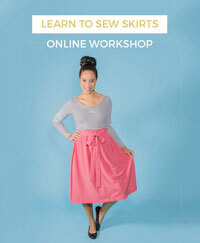 Now the thing that I’ve found useful with the Sew Weekly that I didn’t have on my own — is a deadline! Ok, I know what you are saying… I have deadlines in my day job; I don’t want or need deadlines with my hobby… Ok, hear me out with this one. You know how they say that the way to create a new habit is by doing the same action over and over again (consistently) until it’s just second nature? I think the same is true with sewing. Having a structure that is consistent helps to get the ball rolling until it seems much easier to get into the rhythm. I think this is especially true with sewists. Just from the type of blogs I read, I notice that we tend to be the type of people that have lots of demands on our attention and time (we’re passionate about many things in our life - from our children, to our jobs, to our social life, etc.). With this increased pressure on time and attention there is likely to also be procrastination - especially by those that want to succeed with sewing the most. I’m the worst with procrastination. Due to everything going on, if it’s not something that’s immediately due it tends to take the backseat. What I love about a deadline is that sewing is forced to take equal status with other areas of my life. And why shouldn’t it?? Why should I relegate the thing I love most to the very last? I once read somewhere that we only procrastinate about those things that have value to us. Interesting thought, no? Now the kicker is that it has to be some sort of external deadline. I’m rubbish at keeping self-imposed deadlines!!! An example of an external deadline would be creating an outfit for a specific event and telling people that you are doing it. 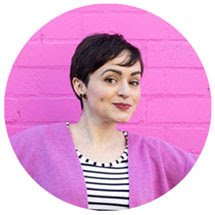 As bloggers we also have the chance to create deadlines — whether through hosting sew-alongs or simply letting people know what we are working on (and maybe asking them to check in on us). I’ll never forget a comment from a reader asking how the 1930s cape I was working on was coming along (a couple of months after I had originally posted about it) — that was just the impetus I needed to get into the sewing room!!! Not all of us will find having deadlines to be useful. There are lots of different working styles and deadlines may not be your thing — especially for your hobby. I do want to share another thing that I have found particularly helpful for me and that is visioning. I am a super visual sewer. From the very start of an idea, I try to create a clear mental image of the completed outfit and how I will feel when it is completed. Visioning is so integral to how I think about sewing—everything from my fabric choices, to the locations where I take pictures to where I will wear the finished outfit and how it will fit in with my existing wardrobe. I keep my visioning very positive. I never imagine running into problems — I always imagine a smooth sewing process. Part of this process is banishing negative self-talk. You know, those thoughts that come into your head without invitation. Here’s a few of my recurring negative thoughts: you don’t know how to do that… You’ve never done it before… You’re not good at lapped zippers… You’re not advanced enough to grade that… You can’t do this… Everything is always going to take you a long time… UGH! Let’s get out of that space QUICK! It’s amazing how those thoughts can just come in without even wanting them to! When I find myself thinking this way, I immediately say something aloud to counteract them (this can seem a bit silly at first—but hey, it’s just me in my sewing room so I don’t really worry about it). This may seem funny to say aloud but what I say the most to myself to counteract negative thoughts is, “I CAN have it all. I can have the job I love and have enough energy for sewing AND having an amazing time with my partner… etc.” I just keep going. However much I think I need to say for it to sink in. It’s really amazing how it makes me feel. I think especially for women, this can be very empowering. Society is always telling us how we can’t have it all... Your personal pep talk may sound different — whatever it takes to get you pumped up and to give you that little extra boost to do what you truly love!! Those are my main productivity tips. There’s the usual stuff about removing distractions and breaking tasks into bite-sized portions but I find those things do little to improve my productivity. I’m the ultimate list-maker so chances are I’ve already made 20 lists of the task to do (which may or may not mean I’ll actually do them) and I tend to be able to work quite well with distractions — so that doesn’t really affect my productivity. My hurdle seems to be the little me (and some days the big me) inside my head saying that I’m too tired, or I don’t have enough time to actually accomplish anything. So for me, the biggest improvement to productivity seems to be countering the little me in my brain (in a gentle way) and reminding her that at the end of the day, there’s nothing I would rather being doing — whether I have 5 minutes or 5 hours. What about you? Do you get those awful negative thoughts? What are your major hurdles with regards to actually getting to sewing? Thanks again Tilly for asking me to guest post… happy sewing everyone!